Pedion: Journal #14 - Reviewing and Moving on! Journal #14 - Reviewing and Moving on! Wow, it has been a long time since an update in this Blog. I am constantly working, creating more and more Terrain for the Kickstarter backers and the rest of Pedion clients. And what a response! However, I wanted to take a short break and share some thoughts on how Pedion has fared, as well as about the things that are in the works. Like what you see? read on..
All in all, I do count the whole venture as a success. 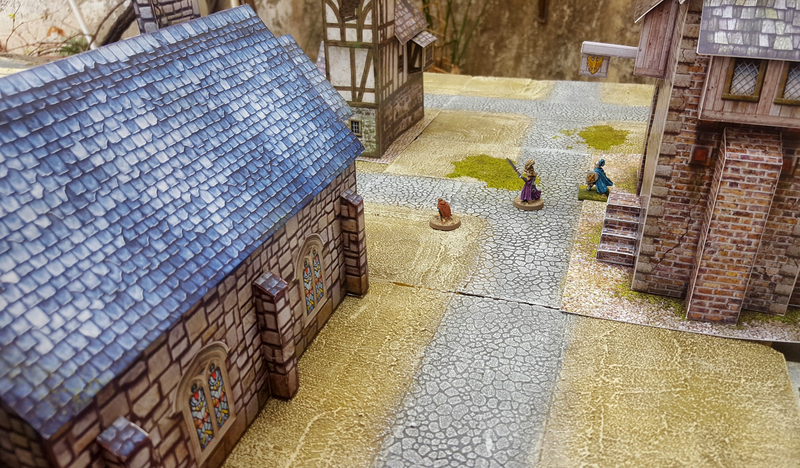 After less than a year and a half from running the Kickstarter, Pedion has been established as an terrain and scenics provider in the world of tabletop gaming. The final product meets and even exceeds expectations, as it is evident by the comments of people receiving it - some of which I included above. I think it says a lot when people get their stuff and place orders for more, even if they know they have to wait. But the real success lies in how happy this whole effort has made me, been in contact with so many folks who really enjoy my hard work, many of whom I have ended up to call friends! I feel that Pedion is earning its place at the niche of the gaming industry, as a high-end terrain product, a modular solution for when you want something looking good without affecting gameplay, robust, modular and easily stored away - and you don't have the time and/or aptitude for making it yourself. In terms of affordability, I strongly believe that while the prices are not very low, they are more than fair. The amount of work involved and the attention to detail and quality we try to pay to each handcrafted set is excessive, and may not be fully reflected in the price. While things are going well, it does not mean they run smoothly or as we had planned. The greatest issue are the delays in delivering orders, which actually derive from initial optimistic calculations on production times and costs. And yes, there is also the serious issue of extreme cash devaluation due to Brexit, but disasters happen, and I'll not throw the towel for something like this. What matters is make things even better. Do not get me wrong; we started delivering before the promised deadline, and not many Kickstarters have almost finished with pledges 1.5 year later. But we are still delivering, we work overtime, costs pile up. 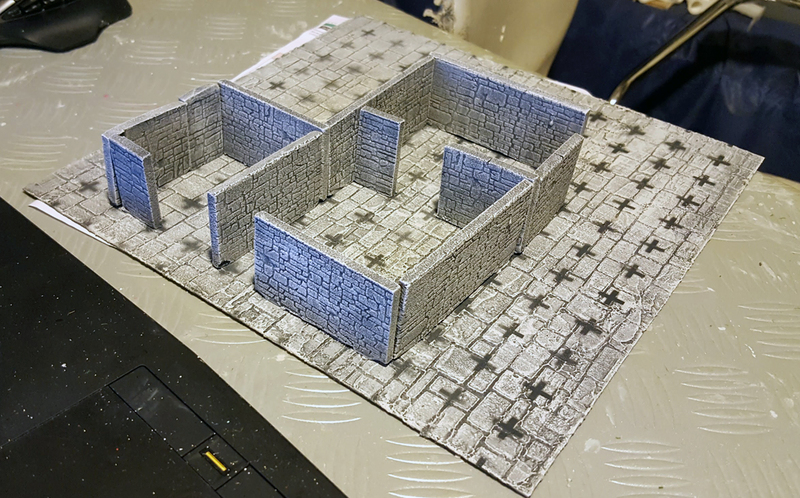 The main lesson (production-wise) I have had to digest was that our terrain is still a hand-crafted, detail oriented product, and thus it needs extra time. It is not a mass produced book sent to a printer, or a series of miniatures cast overseas; the whole process is run in-house. And I want to keep it this way, for I have yet to find a better way to keep the quality and service at the high standards we have achieved. The silver lining is that we have improved our techniques, based on our experiences so far. We strive to hit the sweet spot where we apply standardized methods (construction, casting, assembly, base painting) to achieve uniform quality and faster production, while still having to work by hand and treat each tile uniquely, like a small work of art. I believe that now we are finally achieving this, and so can make more solid future plans. I feel that we have -at last- reached a spot where Pedion can expand even more. While the production of all previous orders continues full throttle, we plan for a series of new products, complementing our existing line. 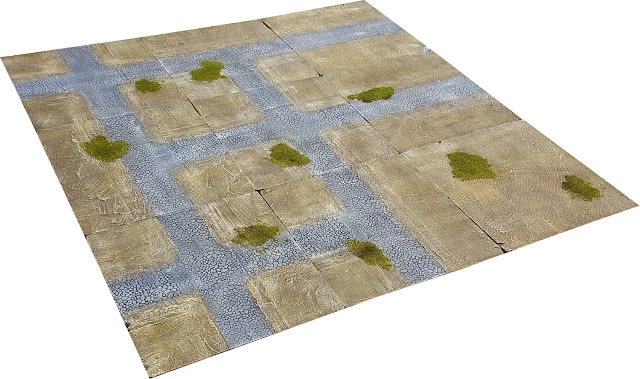 As I have stated before, it is not the intention of Pedion terrain to try and compete with established terrain companies by offering similar products, if only pre-painted. On the contrary, we will implement designs which will literary bring something new to your table. The new lines will uphold the main Pedion principles, as stated about two years ago in the very first article here: full modularity, multiple different configurations, assembled /disassembled in seconds, beautifully handpainted, stored in minimum spaces, lightweight and durable. Also, they will "work" with present and future products. Taking into account the lessons learned by our first Kickstarter, production will now be handled in a more focused way. There will not be a huge Kickstarter like the one before, where lots of themes, styles, designs and options were unlocked and made available (driving us crazy trying to handle all requests). On the contrary, there will be multiple, focused campaigns, each for a specific series of products. This way we will be able to focus production on certain items, deliver and move on. We will start with expanding and standardizing our existing product line of "Urban" Tiles. While people can already order tiles with road configurations unlocked during the Kickstarter, our next project will take this a step further. During the campaign, we hope to unlock variant urban designs like town squares, road roundabouts and parking places. Another unlock would be different elevation options, with slopes, uphill roads, steps... and there are even some thoughts on town docks... Finally, we want to introduce as part of this campaign, special "transition" tiles, which will allow you to combine two different themes n the same table, or pair your older Sets with the Urban ones. This will be the first new Kickstarter campaign,and it will be sooner than you think - we aim for early January 2017 so stay tuned! This will be Pedion's approach to a Dungeon System. Do we need another one? In my mind yes, if it is not copying the excellent Dwarven Forge designs but strives to cover different needs. Keeping this in mind, we designed a system of interconnecting walls and floors in true Pedion spirit. Our usual tiles will be the floors, textured and hand painted, at 30cm x 30cm squares. And your walls will allow any kind of design you like. This Range will follow (and enrich the Urban range) and it is past the design phase, as we have created a number of moulds already. 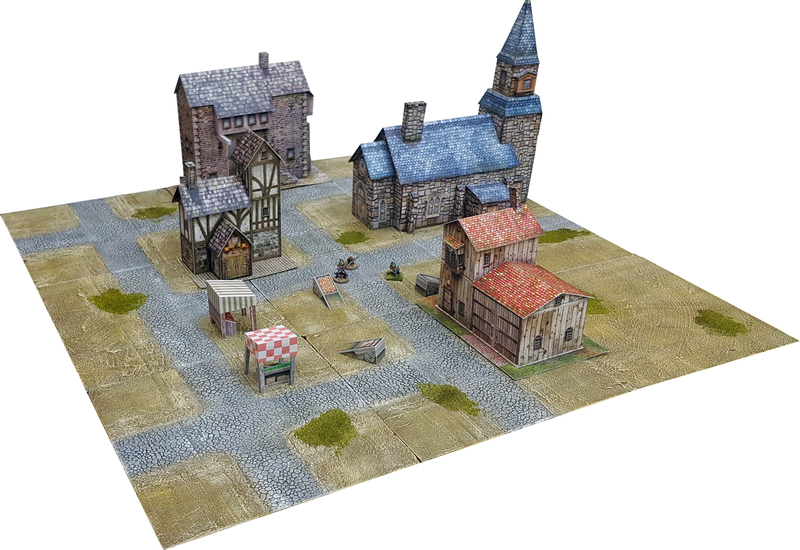 This is a more "boutique" expansion for our current Battlefields range. It aims to introduce a full trenches and fortification series of tiles, along with full solutions of Sets recreating WWI and WWII landing sites. The range is intended to combine existing designs (our excellent coastlines) with new ones (high rises, earthworks) for people who want to represent Normandy or Pacific Island engagements. This Range is still in design phase, although I have begun setting up the first D-Day prototypes! This is all for now. I hope that I have (re)kindled your interest and that you will accompany me and Pedion in the great things to come!